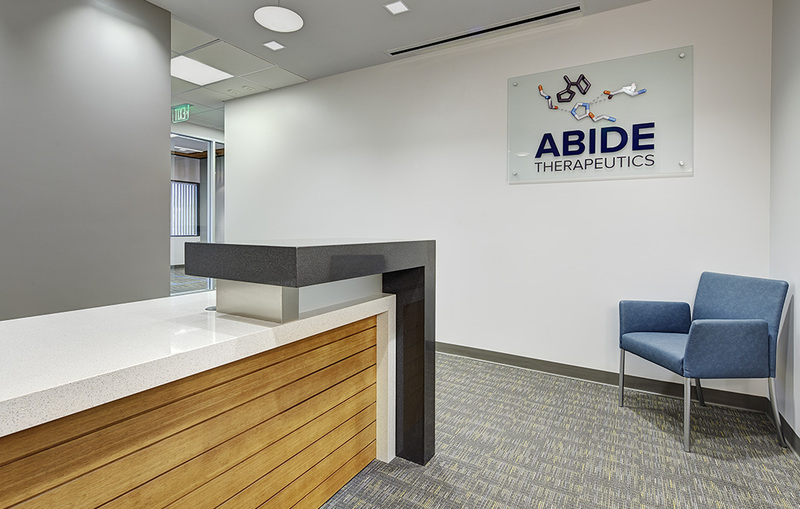 Abide Therapeutics, based in La Jolla, California, is a startup chemoproteomics company founded in 2011. 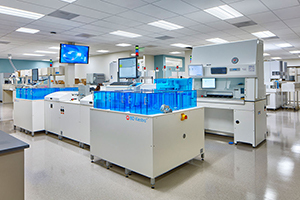 The company’s goal is to harness the therapeutic potential of serine hydrolases to yield drugs for treatment of a broad range of unmet medical need. 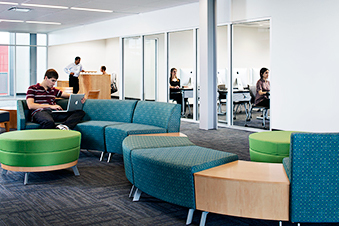 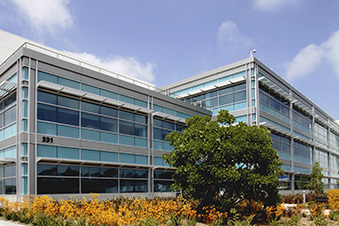 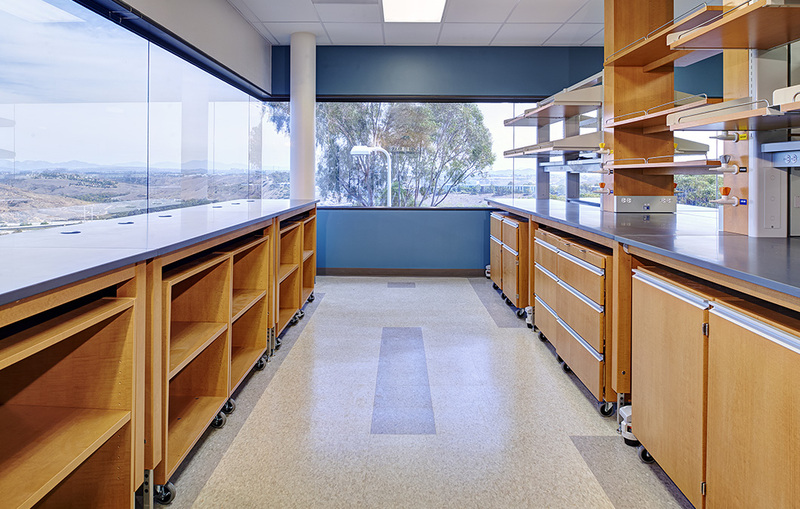 In 2014, FPBA completed work on an 8,000-square-foot office lab renovation. 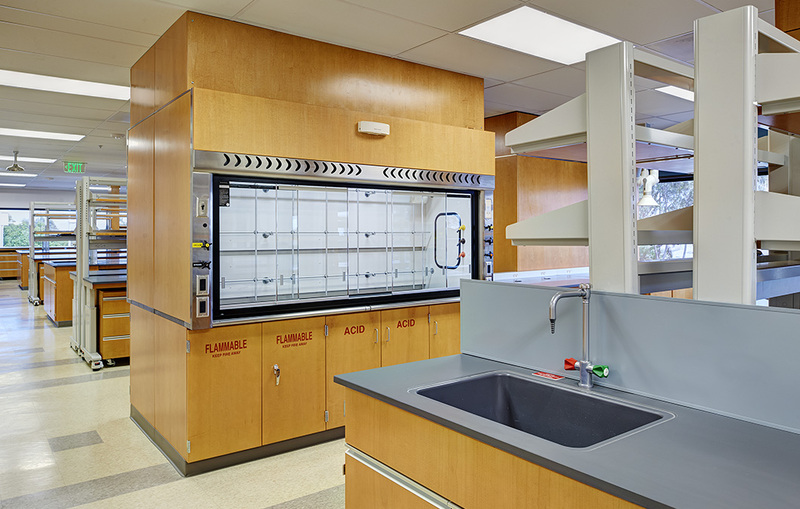 Considering Abide’s young age and potential for future growth, FPBA needed to allow for some flexibility in Abide’s wet chemistry labs. 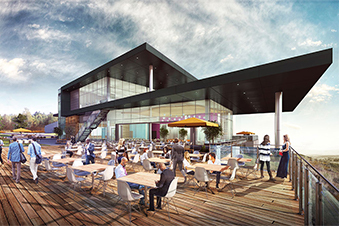 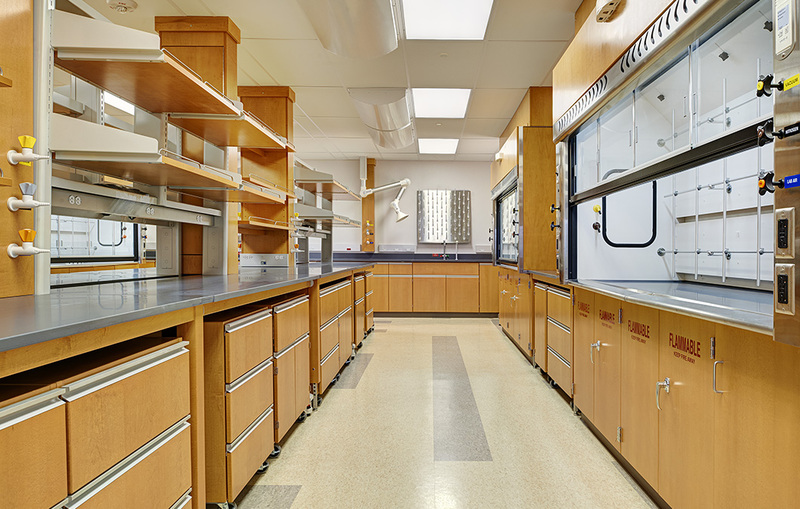 To accomplish this task, the project utilizes a modular lab casework system. 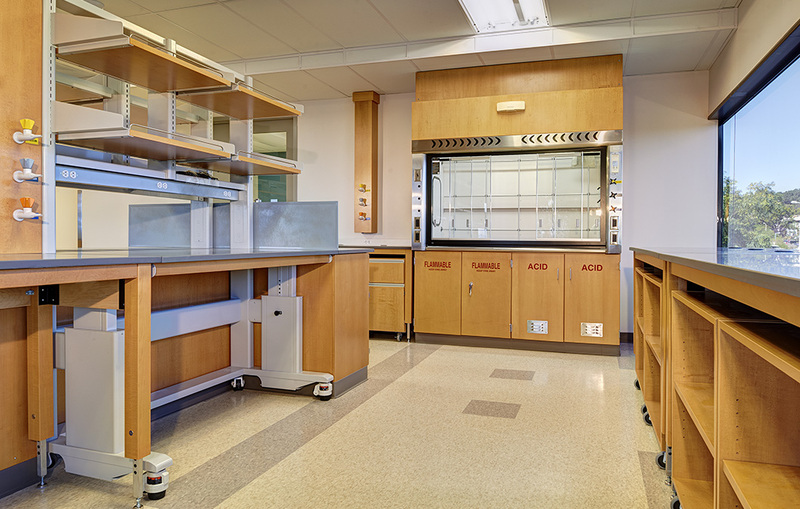 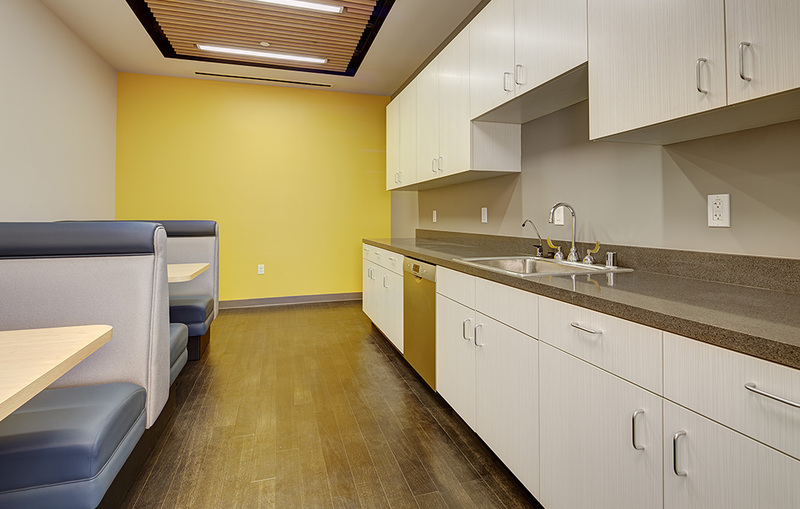 The casework features a “plug and play” utility system with quick-connect fittings that allow for easy connections to existing building utilities, as well as mobile base cabinetry and tables that can be reconfigured as lab needs change. 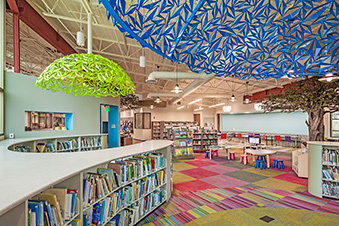 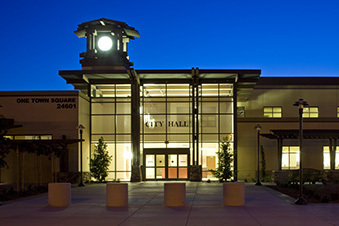 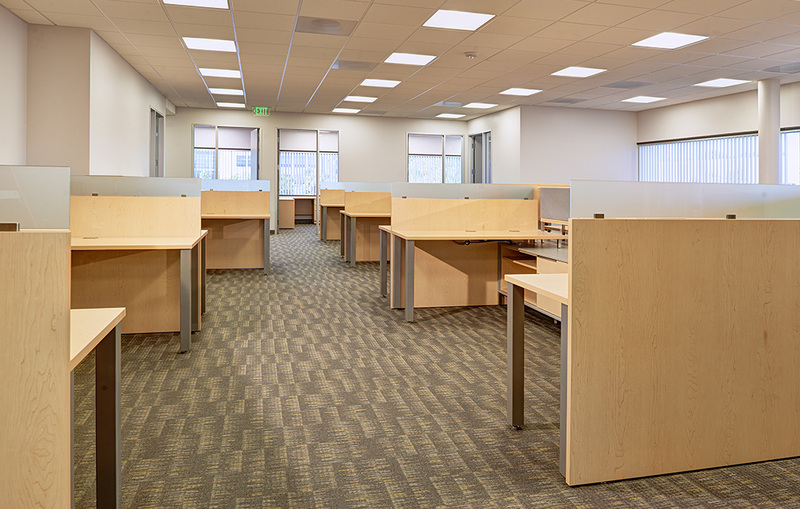 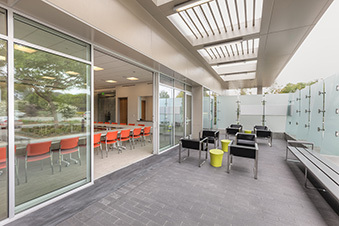 Using a modular casework system also reduced installation time compared to traditional built-in casework, which assisted the contractor in meeting the accelerated schedule. 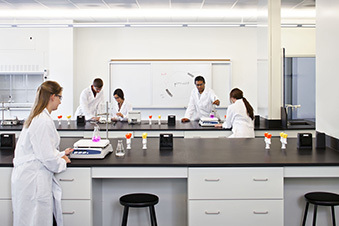 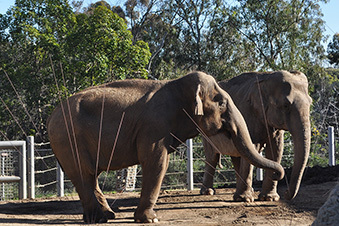 Please see more of our Life Science Research projects.